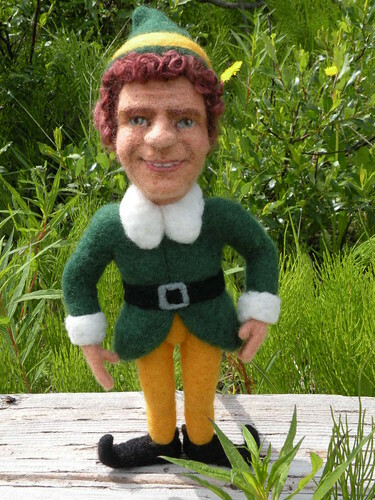 Will Ferrell - ELF!, originally uploaded by feltalive. My husband requested a Will Ferrell caricature, my nephew suggested the Elf costume - I think it all worked out although I must admit, this li'l dude sort of gives me the creeps. He looks like he is up to no good if you ask me. Kay, He's fabulous but you are right, he looks like he could cause trouble any second! I am glad to see you are posting new things. Haven't seen you on the Forum and I was worried about you!